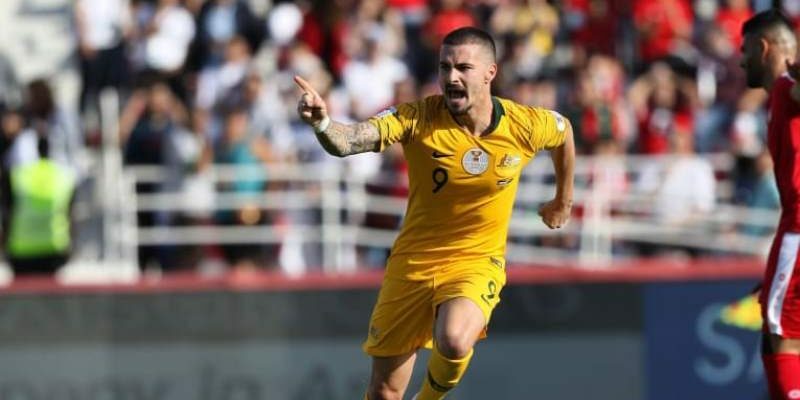 SYDNEY (11 Jan 2019) – Defending champions Australia picked up their first full points of the AFC Asian Cup 2019 with a comprehensive beating of Palestine 3-0 at the Rashid Stadium. The win has allowed Australia to erase the bitter memory of losing to Jordan in their first game in Group B as their put their title defence back on as they moved up into second place in the group. Australia controlled possession from the onset with the triumvirate of Jamie Maclaren, Awer Mabil and Chris Ikonomidis leading the offensive play. After some early misses, Maclaren opened account in the 18th minute when he nodded home the cross from Tom Rogic. Two minutes later, Ikonomidis once again supplied the cross for the simplest of finish from Mabil. The Socceroos sealed their win in the 90th minute, with substitute Giannou rising high to head home a pinpoint Ikonomidis cross following an Australian set-piece to cap off a memorable afternoon’s work. Substitute Apostolos Giannou then finished things off right at the end.